According to the USDA, Oklahoma ranks eighth in the nation in the number of people per capita who are hungry. 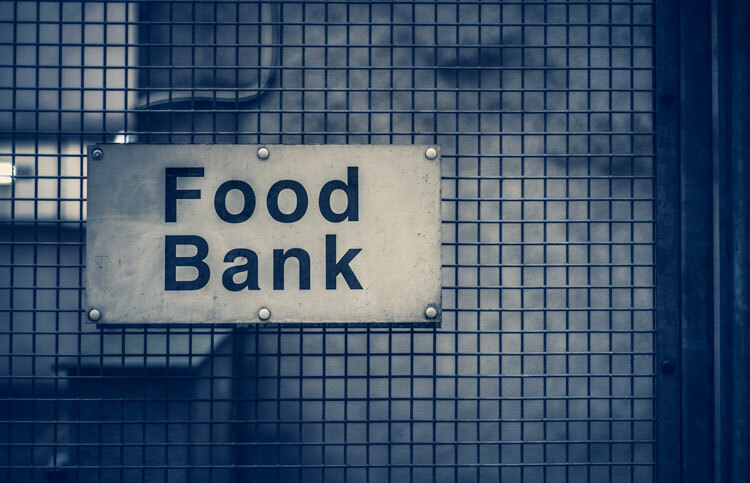 We are seventh in the nation in those who are food insecure, which means that the food intake of some household members is reduced and normal eating patterns disrupted because the household lacks money and other resources for food. This is especially true for the people of the inner city. 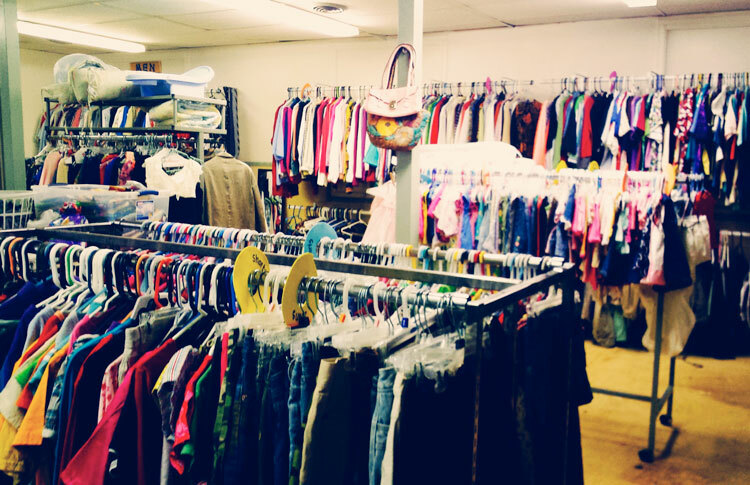 Dream Center OKC meets basic needs for food and clothing for hundreds of people every month. Trust is built and relationships and formed, allowing our team to help people identify long-term solutions. A resource center provides customized assistance and referrals to drug treatment programs, job training, GED classes, and much more. The food pantry is the 4th Saturdays of every month and provides groceries to 75 families. An additional 30 families are part of a monthly food co-op that meets on the 2nd Saturdays. Our team is also available on a daily basis to distribute an emergency box of food to families facing an unexpected shortage. Volunteers are welcome to assist on food pantry days (4th Saturdays). Please arrive at the church at 10:30am to assist in unloading groceries and preparing them for distribution at 12pm. To arrange bringing a group of volunteers, please contact us. Donations to our food pantry are greatly appreciated, as they make this program possible. We accept perishable and non-perishable food, as well as related items such as refrigerators and freezers. Our Jesus Closet is open twice a week. Clients select the items their family needs from donations. Donations of seasonal clothing as well as all shoes and coats are welcome. Donations can be dropped off at any time in the donation receptable in front of the Jesus Closet. Please call ahead to ensure someone is available to meet you if you desire a receipt for your donation. Volunteers are always needed in this minstry. Volunteers can sort donations on Wednesdays from 4:30 – 8:00pm and on Saturday mornings. The Jesus Closet is open* on Wednesday afternoons (4:30pm – 6:00pm) and Sundays after church (12pm-1pm). *Please call first to confirm that Jesus Closet is open, as hours sometimes change. For more information about volunteering or donating, please contact us. The Community Resource Center opened in January 2014. The Resource Center provides customized, relational help to families seeking assistance. Clients are connected with the assistance they need from a variety of community partners. Through this new initiative, we are helping adults find employment, providing information on education options for parents or their children, referring people to substance abuse treatment facilities, and much more. Nichole Urbina leads the Community Resource Center, which extends the impact the church has through its programs by working with like-minded agencies and ministries throughout the metro. Volunteers are needed to work 1-on-1 with adults seeking assistance. Volunteers who could teach a class for adults in cooking, nutrition, fitness, child-parent relations, the education system, and other topics are also needed. Donations of gas cards, bus tickets, diapers, and computers are needed to assist this ministry in its start-up. Gas cards and bus tickets help adults get to new jobs or important appointments. Diapers and other baby items help new parents with expenses not covered by other programs. Computers and related equipment allow the Resource Center to assist adults in looking for employment and resources.